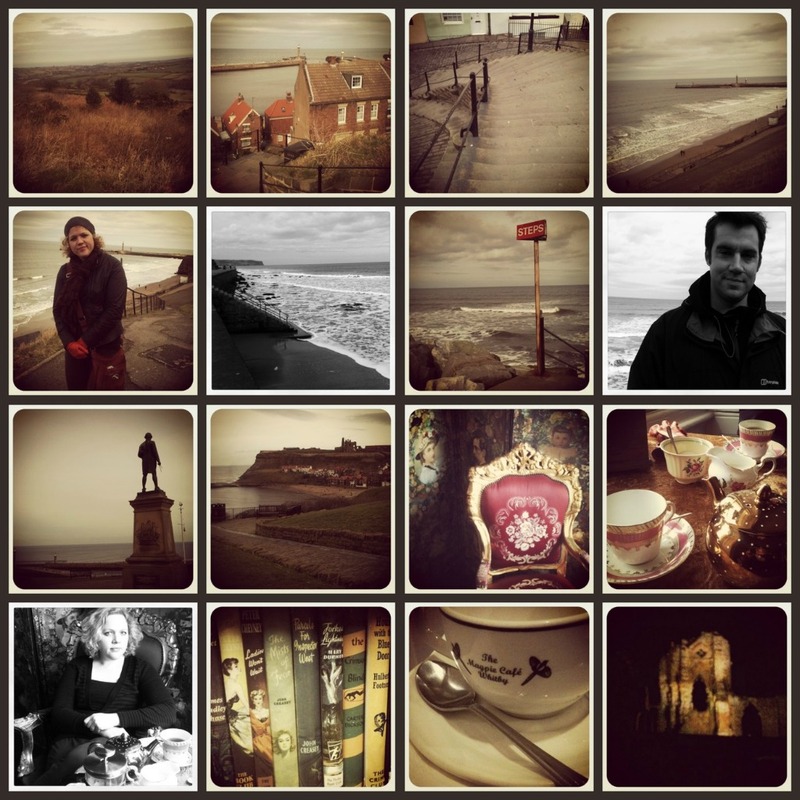 On Friday, we took the day off work and went to Whitby for the day, just the two of us. Although being parents is clearly the most important thing we’ll ever do, we like to have a day off without them every so often. A break from routine and a chance to catch up on our relationship as a couple. After all, one day the kids will be off (at University, if I get my own way!) and it’ll be just us again. So, it’s good to make sure we have something to talk about apart from the kids. Whitby, in North Yorkshire, is one of our favourite places to be at any time of year and with any company. Famous for many reasons, including being part of Bram Stoker’s inspiration for ‘Dracula’, it’s a small town situated on the east coast, with dramatic headlands on either side that can be walked along as part of the Cleveland Way National Trail. Although it was a bracingly cold day, it was nice and clear, so we walked along the beach almost to Sandsend, a little enclave further north before turning back for tea in The Mad Hatter tea-room at La Rosa hotel – a unique, eclectic and eccentric hotel with a lovely quiet eco-feel about it. There is no environmental preaching here, but the use of vintage, second hand and environmentally friendly is very evident. A wonderful location and one I hope to stay in soon. Lewis Carroll, author of ‘Alice In Wonderland’ used to stay at the building, as evidenced by their blue plaque. Amongst the collection of ephemera and terrifying Punch and Judy puppets in the display cabinets are letters written to him at that address. Then to Endeavour Books on Grape Lane, where the second-hand volumes are lined from floor to ceiling (on the chance of adding to one of my book collections) followed by fish and chips in the famous Magpie Cafe. Anya Hindmarch for British Airways: A Little Luxury. 6 Responses to A Date in Whitby. Lovely photos. Whitby is one of my favourite places, though I love most of the East Coast, and I especially love these out of season winter days along there. Glad you had such a great time- its important to have those spaces without children just to reconnect with what brought you together to have them in the first place. Must be nice to get some quality husband time, i really love your photography it has a real vintage look about it your have to share how you got your pictures to look like that as it is a style i would like to try myself. I have to say you look rather regal in that chair with your silver teapot.